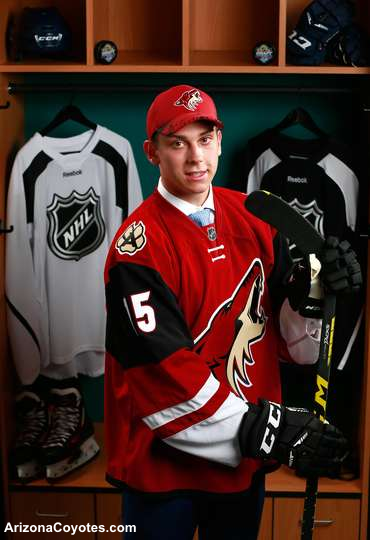 The NHL Entry Draft is always an exciting time for jersey fans. You get a preview of some of the changes coming for next season. This year did not disappoint and provided some surprises too. Arizona used their draft party to reveal their new sweaters an hour before the draft began. Just like their current arena lease situation, this is a mess! This looks like too many different ideas that don't work together. Or someone at Reebok created this template but they weren't entirely happy with it. 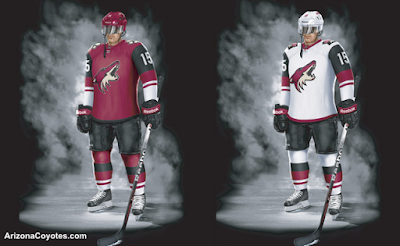 Then they threw it in the concept package they sent to the Coyotes and surprisingly it got picked. That's my theory anyway. There are pieces of this jersey set that I like! The new number font is nice. It's different from what they were using, but I'm proud of them for not going with the easy standard block font. Leave that for other teams to do. I like the new paw shoulder patch and the updated Arizona state patch. However, I do not like that one logo appears on the home sweater and the other logo is on the road. Too many times teams are blasted by us for little things we think they did wrong with their new sweaters or the actual reveal. Edmonton did everything right with this one. The set they have now is what us concept artists have wanted to years. 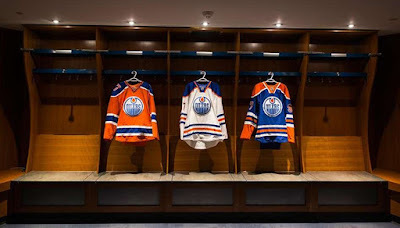 Give Edmonton credit for doing it right. 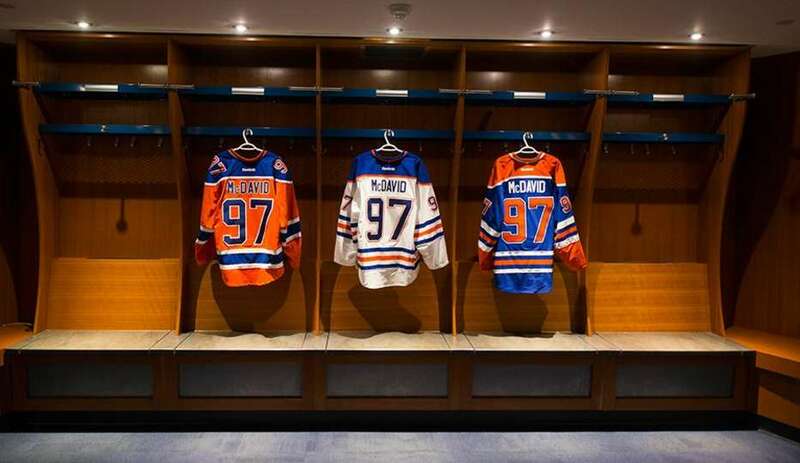 Also, giving the sweater to McDavid instantly makes this jersey synonymous with the McDavid era. 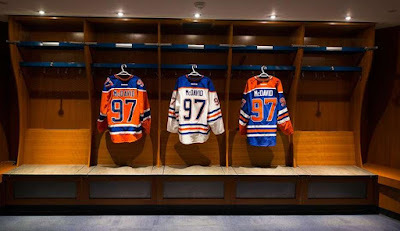 The orange alternate may become known as the "McDavid alts". The overlapping collar looks great and the numbers on the shoulders stay true to their WHA Alberta Oilers days. Sometimes it seems like teams are pushed around by Reebok's templates or restrictions (which may or may not exist). The Oilers knew what they wanted and they got it here, with or without Reebok's help. 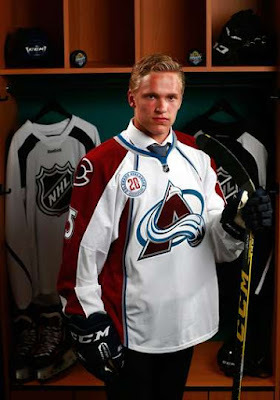 We created a bit of a buzz with rumours of alterations to the Avs' sweaters. Obviously we built it up too much and disappointed ourselves. Nothing about the design of the jersey was changed except for a new Colorado state C shoulder patch. This change might have been met with much more optimism, but when the actual jersey was void of any other alterations our balloon of anticipation was quickly deflated. It's becoming apparent that Avalanche management is not interested in what their jersey looks like or they are blind and deaf to the cries of their fans. 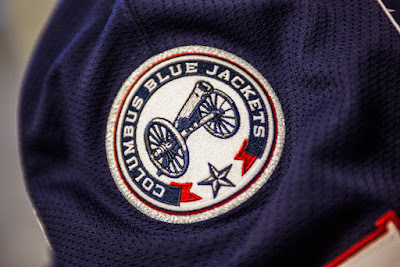 Out of left field, the Jackets changed their shoulder patches! I understand a lot of people will like this change. The canon logo is a good logo. I really liked the civil war hat logo though. I liked that there were two logos for the home and away set and then a completely separate logo for the alternate jersey. 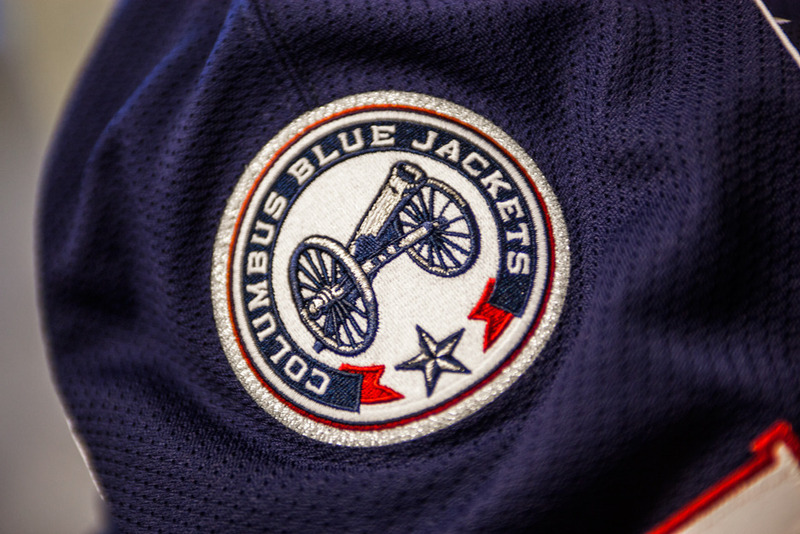 An alternate logo for the alternate jersey. This isn't a bad move, but I liked it the way it was. 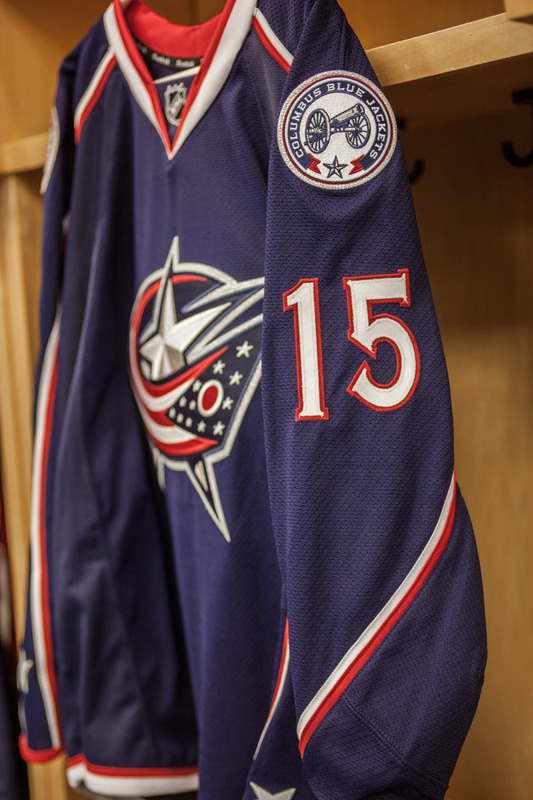 The most minor change we saw at the draft is something that only jersey nerds likely noticed. The Ducks have changed the colour of their laces from black to white. 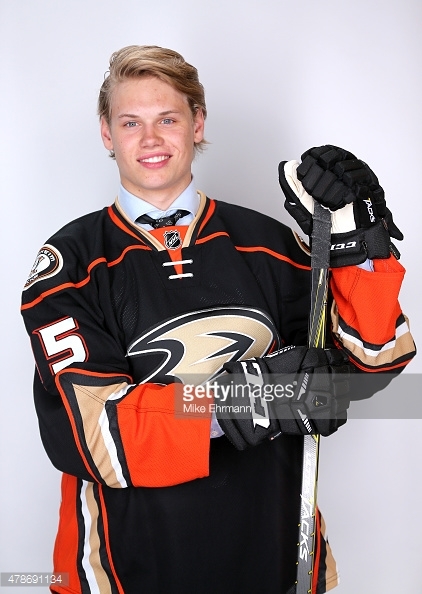 (At least on their home jersey) I liked the black laces and the white ones look fine too. What else can you say? This doesn't affect the look of the jersey in any way. It's not worse. It's not better. Obviously someone in the Ducks' organization thought it was better. Or the regular equipment manager was on holidays before the draft and the stick boy packed the jerseys to send to Florida. Not knowing any better her or she put white laces in the black jersey. Just another theory. Being a Maple Leafs fan I take every opportunity to be negative about the Montreal Canadiens. The jersey alterations the team made can't be debated. They are excellent! 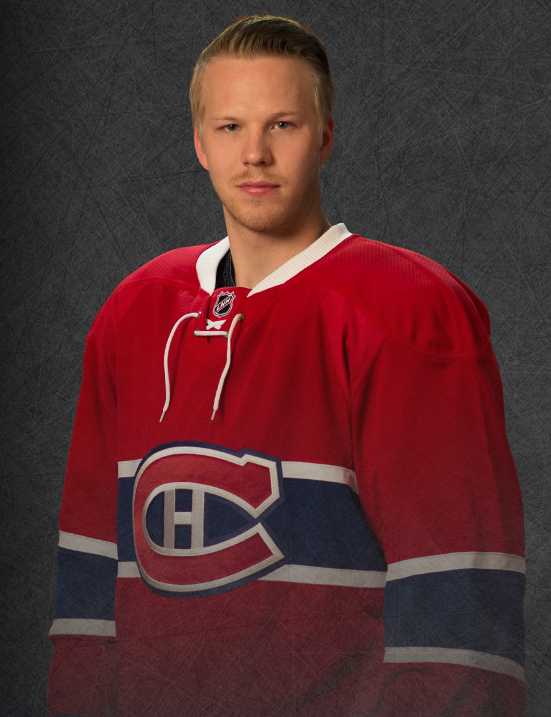 I've wanted the Habs to look like this for a long time. I'm surprised they even went with an all white collar on the road jersey. It looks great! They also chose to use the ribbed collar (made popular by the Minnesota Wild). It's not likely, but I would like to see them use blue numbers with just a red outline on the white jersey. 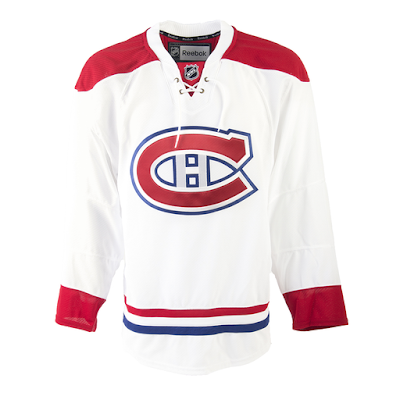 I would also guess that with these changes, the Habs won't be revealing another sweater for the Winter Classic. They are very protective of their look. Even the press release sounded more like a defence of the changes rather than a celebration. Games against other Original 6 teams will look even better now. Forget wearing true throwbacks for those games, all of the Original 6 have perfect jersey sets now.